Do you want to discover your voice? 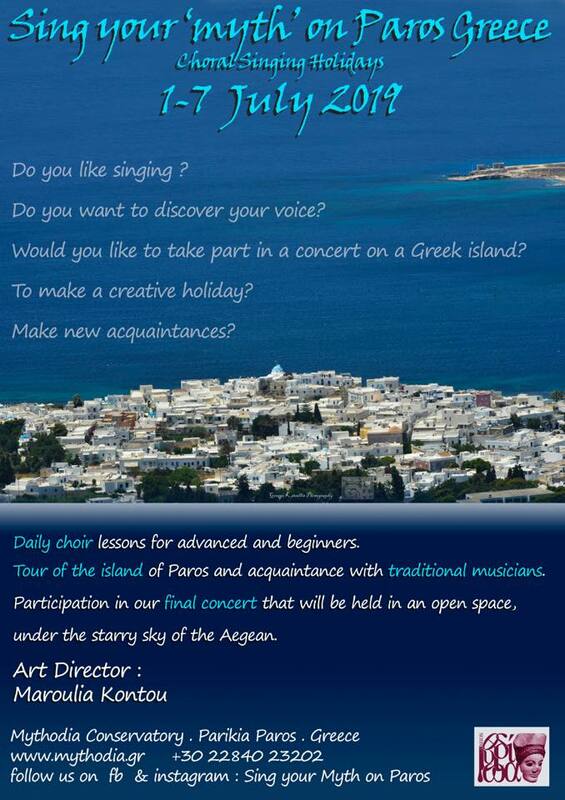 Would you like to take part in a concert on a Greek island? Do you want to have a creative holiday? Do you like making new acquaintances? 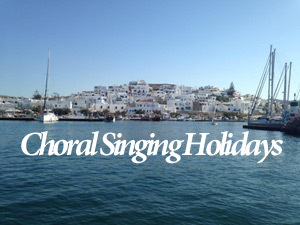 THEN… «SING YOUR MYTH ON PAROS»! Tour of the island of Paros. Participation in our final concert that will be held in an outdoor venue, under the starry sky of the Aegean. Teachers: Maroulia Kontou, Artistic Director of Mythodia Conservatory and experienced collaborators. Make the art of music your art!